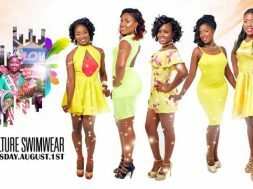 THG Network (Aug. 2, 2017) — Gingerland resident Tereka Browne is the new Miss Culture Swimwear, having won every segment in Tuesday night’s contest. 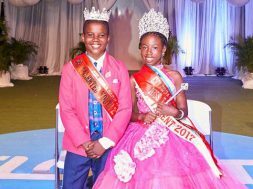 The pageant pitted two Nevis residents, Browne and Theola Vanterpool, against three St. Kitts residents, Stavena Lewis, Monique Hall and Kachiana Robin. Sponsored by Clive Evelyn Construction, Browne amassed 770 points and secured awards for her winning position, Most Photogenic, Best Identical Swimwear, Best One-piece Swimwear (Birds of a Feather), Best Two-piece Swimwear (Treasures of the Narrows) and Best Creative Swimwear. 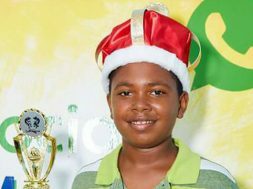 She also received the People’s Choice Award, after securing 1390 votes via the Nevis Culturama Festival’s online portal. Browne was clearly the crowd’s favourite as she wowed the audience and judges with four creatively designed swimsuits. 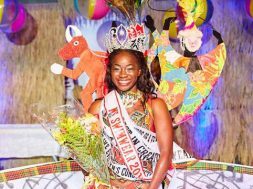 Following her in the 1st Runner-up position, with 708 points, was Miss Nevis Solid Waste Management Authority, Monique Hall. She too had notable support from the audience as she displayed confidence and poise. The 2nd Runner-up award went to Miss FIT Wellness Center, Kachiana Robin, who secured 696 points. 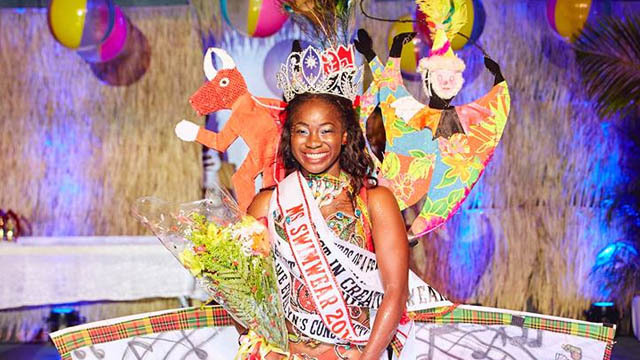 Miss Carib Brewery, Theola Vanterpool won the award for Miss Congeniality. Miss FLOW, Stavena Lewis also entered the pageant. 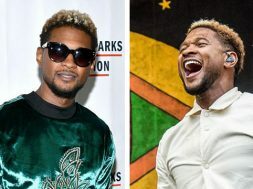 Despite heavy showers of rain and a low turnout at the start, the show was able to build momentum and create excitement for patrons, some of whom could not stop speaking about the onstage treat the received from the male group, Thoroughbreds. 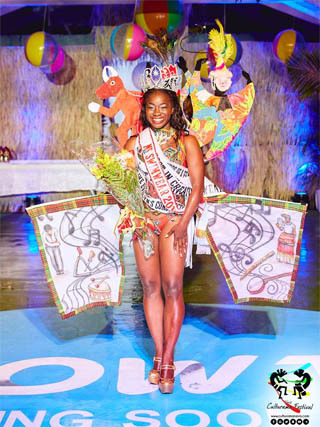 The Miss Culture Swimwear Contest was held at the Nevis Cultural Complex.